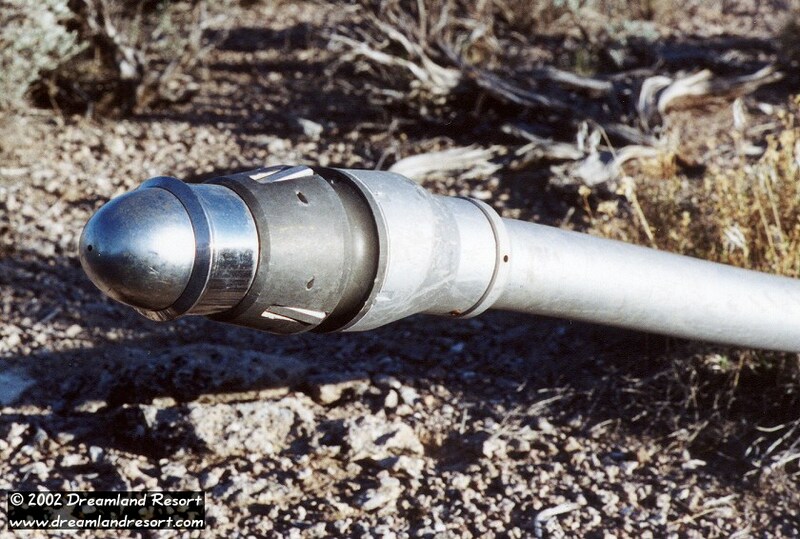 This refueling probe was found in a remote location in the Pahranagat Mountain Range. 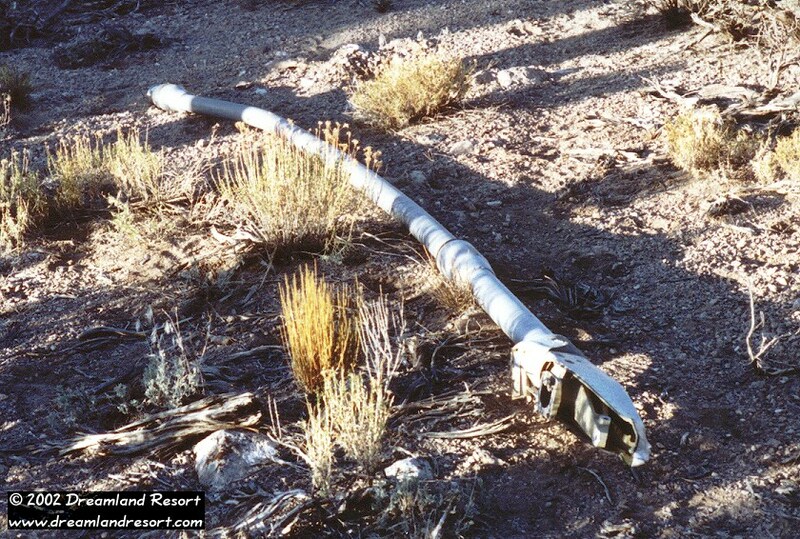 It is more than likely that it broke off from an aircraft in mid-flight during a refueling operation or exercise. Lets hope that the aircraft had enough fuel left to make it back to base without refueling. The probe has several date stamps and serial numbers: "5-24-55" and "192-48778 A" near the front, and "6-10-55", "192-48776-5", "2014 62" and the manufacturer name "ALCOA" near the mount that was attached to the plane. On the front valve unit it says: ".... CALIF. PART NO. 7-653-171-1 SERIAL NO 235". 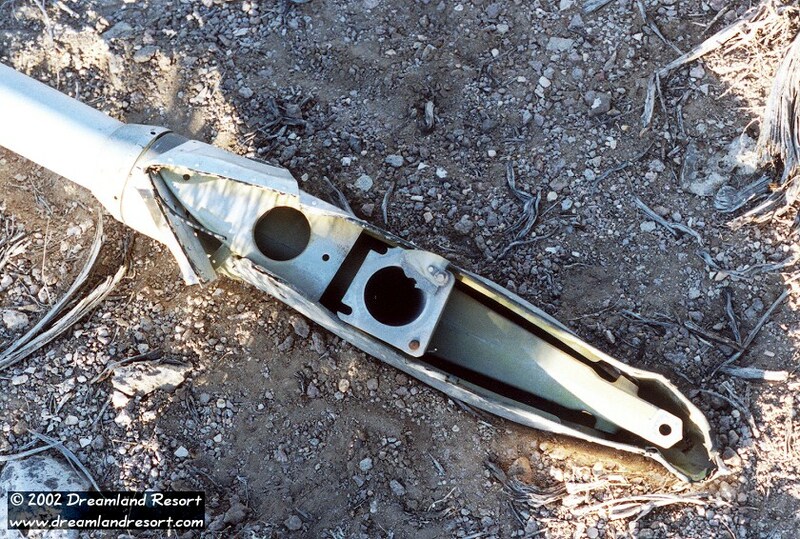 It has been identified as being off an F-100 Super Sabre. The valve where the refueling hose from the tanker attaches to the probe. This end was mounted to the plane.